After a winter spent busily in the office processing all your bookings, getting special accommodations secured for our customers, handling marketing activities and all the myriad other tasks that go with running a specialist holiday business, it’s time to put our coats on and get ready for the season. The minibuses arrive and must be prepared – new, fresh branding on, a full clean, equipment boxes stocked, a few seats removed to give sufficient space for baggage…. We set up a briefing session held with the drivers, taking them through new developments, updating them on new accommodation locations, the arrangements at our new office, the rota and their special treat – distribution of new kit! All the while, the snow kept falling. This is the deepest snowfall for nearly 30 years… It was hard to believe at times that in a few days the first walkers would be arriving! It’s a bit like preparing to host a big party – work is done, some in a final flurry; a few last checks that the venue’s looking great – then you’re ready but waiting for your first guests… the doorbell goes with the first few, though it’s a while before the bulk arrive. Those first guests get to see the trail as it wakes up. The lambs gambolling in the fields, daffodils and snowdrops colourfully decorating the way, accommodation owners realising again they’re shopping for many people and not just themselves, and tales of winter holidays! 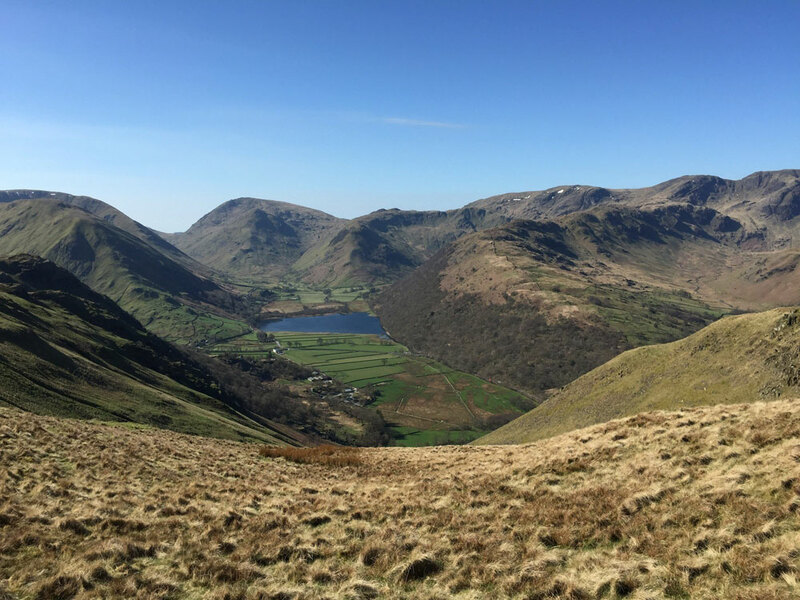 Fortunately, the snow had mainly melted by the time our first Coast to Coasters came along, though as these pics from Owen Cresweller show, it was still about on the high fells. Look forward to meeting you on the Coast to Coast!